Channel 4 has ordered more all-new episodes of The Crystal Maze from Fizz, part of RDF Television. The 12 x 60’ order from Channel 4 will extend the legendary games show’s run on the channel, and UK licensing agents Bulldog are thrilled to be working with producers Fizz once again to represent the property. Richard Ayoade will return to guide the intrepid explorers through four challenging zones as they collect crystals to exchange for time in the iconic Crystal Dome. 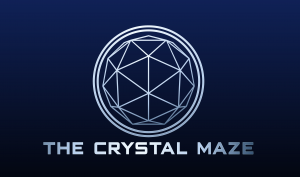 The Crystal Maze will once again be shot at the purpose-built set spanning over 30,000 square feet at Bristol’s Bottle Yard Studios and the new order of 12 episodes also includes six celebrity specials. Licensing agent Bulldog has capitalised on the buzz surrounding the brand to build a strong licensing programme. Partners include Imagine8 for FSDUs featuring a range of Crystal Maze-branded products, as well as Rascals (games and puzzles) and Poetic Brands (apparel). In addition, recent ads for PayPal and Specsavers have both featured the brand, whilst the Co-op has been using the theme song in their ad campaigns. The Crystal Maze originally aired on Channel 4 from 1990 to 1995, achieving iconic status by pitting teams of contestants against the fiendishly difficult puzzles of the Maze. The show has since made a full return and has enjoyed viewing figures peaking at 4.3million. The show is particularly popular amongst young people and attracts a 16-34 audience more than 80% higher than the slot average and, for under 16s, over 100% higher. During broadcast, #crystalmaze regularly appears at number 1 in the Twitter Trends chart and was trending in the top ten UK YouTube charts for a week with footage of one particularly inept participant! . Fans won’t have long to wait to see more adventures from The Crystal Maze, as more new episodes filmed in 2017 will air later this year. The Crystal Maze is a Banijay Group format. Bulldog Licensing Limited (Registration Number 06078044) is registered in England and Wales and is the registered name of the company conducting its business at Rowley, Burnt Lodge Lane, Ticehurst, East Sussex, TN5 7LE (the Registered Office).